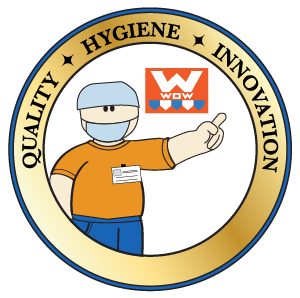 Contact & Orders | Wow Plastics Inc.
FOR IMMEDIATE ASSISTANCE FROM OUR CUSTOMER SERVICE AND SALES TEAM WITH FULL TRAILER DEALS, LESS THAN TRUCK LOAD (LTL) ORDERS, CUSTOMIZED PRODUCTS, PICK-UPS, ECOMMERCE ORDERS OR INTERNATIONAL SHIPPING (OUTSIDE USA) AND INSTITUTIONAL SERVICING. · We're happy to answer questions or help you with orders, discounts or returns. · Our working hours are Monday - Friday from 9am-5pm Mountain time . · You may also fill out the form below or email us at customersales@wowplastics.com and we will contact you as soon as possible.